AFP is a well established family run business and have been operating in the Rotherham area for well over 15 years. We offer a full range of services catering for your every need from domestic to commercial and contract vehicle hire and sales to servicing, repairs and MOT work for any type of vehicle (Cars, MPV, 4x4, Vans, Minibuses and other light commercial vehicles). 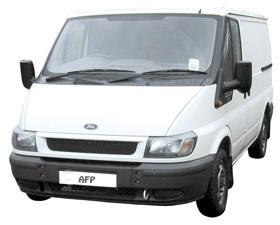 AFP has a dedicated team of fully qualified mechanics and VOSA Approved testers. This is complimented by our professional office management who endeavour to make your experience with us a pleasant one. We have a family oriantated (child friendly) reception/waiting area, fully equiped with flat screen television, hot and cold drinks and snack machines. We boast that the reception is exceptionally clean and is also fully air conditioned.